The ICOM theme of International Museum Day 2017 is Museums and contested histories: Saying the unspeakable in museums. This theme focuses on the role of museums that, by working to benefit society, become hubs for promoting peaceful relationships between people. It also highlights how the acceptance of a contested history is the first step in envisioning a shared future under the banner of reconciliation. There is a palpable sense around us these days that our museums in India are going to change, that there is an impending Renaissance. The panel discussions attempt to capture the important moment as we prepare ourselves to make the transition to a different kind of a museum dialogue; one that goes beyond just grand buildings housing precious objects to peoples’ museums, tangibles and intangibles. Starting from the Panel discussions on emerging trends in Museums, Collections Care and the scope of Museum Planning and Design in the forenoon sessions, the discussions will move on to Curatorial Voices in later sessions including aspects such as new expressions for ‘Lost Memories and Voices’ through dialogue on The Partition Museum and the Bhopal gas tragedy that raise questions about the promise and perils of museumising contentious events and an opportunity to dismantle the high-culture-low-culture divide prevalent in our museums and forces the museums to engage with difficult narratives. 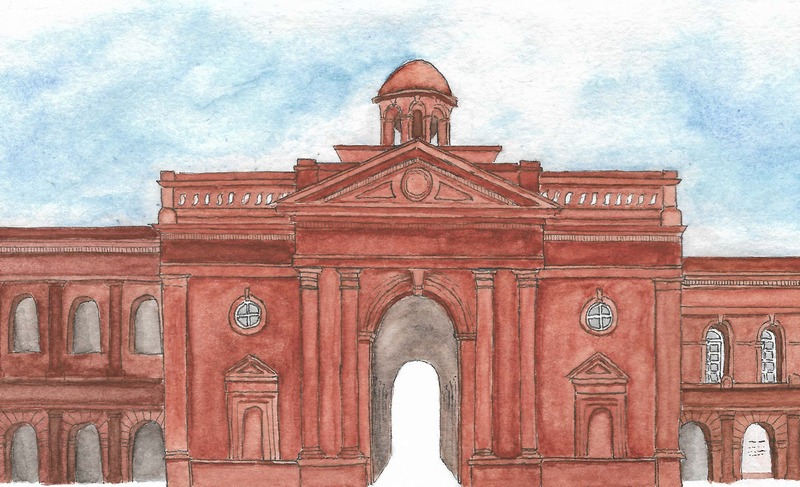 ‘Culture on the go’ will specifically focus on museums in public spaces – the mall, metro stations, railways stations and airports or even conversion of urban public spaces into art galleries. 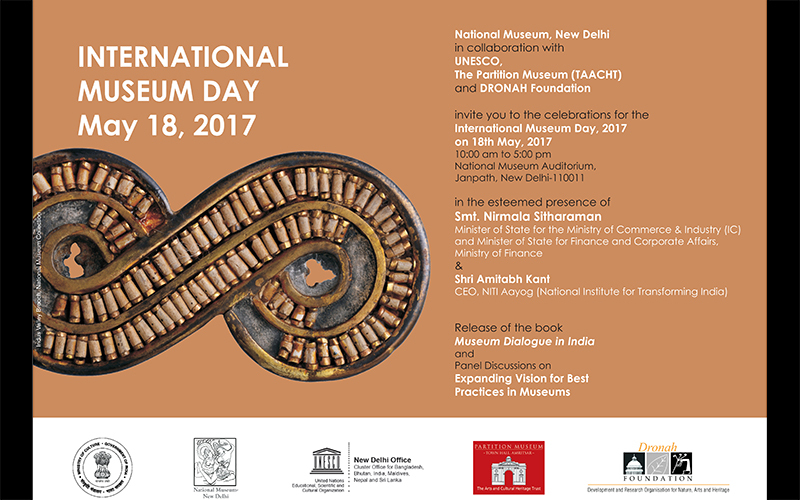 The series of expert panel discussions proposed for the International Museum Day, 18th May 2017 emerge from articles in the special publication ‘Museum Dialogue in India’ a book on Rethinking of Museums in India to be launched on the same day. The book is published by Aryan Publishers and Dronah and edited by museology expert Ms Rama Lakshmi. It covers contributions from a wide range of leading museum experts, curators and professionals across India and abroad. The panel discussions will be relevant for all in the Museum field – practitioners, professionals, curators, designers, conservators, researchers, administrators, managers and museology students. It will also be relevant for various state government officials involved in museum upgradations and private foundations owning museums.